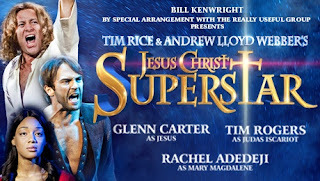 When I was younger my School put on a production of Jesus Christ Superstar. I was already familiar with the musical, as I was a lover of Musicals and musicals by Andrew Lloyd Webber were some of my very favourites, as my maiden name was Webber. I even had a dream to go to The Webber Douglas Academy of Dramatic Art, but that was more to do with Angela Lansbury than the name link. 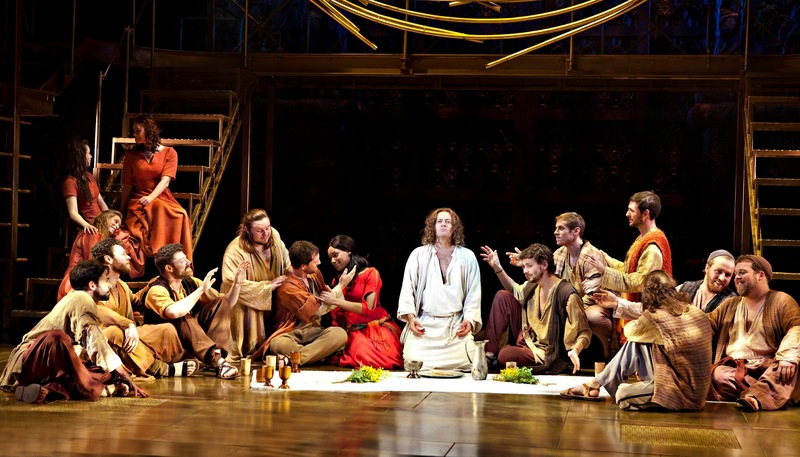 I've been in an ameatur production, I've seen it performed goodness knows how many times and the DVD I have of the film is so well viewed that I may actually need a second copy before long. So when I saw it was on at Milton Keynes Theatre and I was being offered tickets, I wanted to take Top Ender, who at the same time was begging me to take her because her best friend was appearing in it! I'd heard mixed views about the show from friends across the country, some had said that it seemed a little more violent than they remembered (but I think that might be more to do with them not remembering just how violent the death of Jesus Christ is in the Bible), others have said there were a few issues with the music being louder than the performers but everyone has agreed that the staging of this classic musical is brilliant and rousing. Top Ender hasn't ever seen the Musical before, she does know some of the music because of me singing it at random moments, and of course being the good Latter Day Saint that she is, she is more than aware of the storyline. Top Ender was impressed with the show. She loved the lyrics and melodies and thought it was such a brilliant show to watch, she felt that she was transported into being a fly on the wall and watching the actual events happen. I was glad that she felt this way, because sometimes, reading or watching something can make you feel just so emotional and I didn't want it to be too much for her. Here's where I admit that I cried three of four times. Once at the start when Jesus healed a blind girl, it reminded me of a story I'd told the Children at Church on Sunday and just made me weep. The second was when Judas hung himself, the third time was during the crucifixion which really is gruesome (Tops buried her head in to my side and covered her ears as it was so loud and violent, torturous and bloody) and lastly when Jesus Christ was resurrected. It was a combination of late nights, the performance being so realistic (you only scream like that if you're in pain) and also a deeper understanding of my own faith. If you are able to get to Milton Keynes this week, go watch the musical and take me with you! We were given free tickets to the Rock Opera and we drank a lot of free OJ too.